About Pest Control Solutions Inc.
What people say about Pest Control Solutions Inc. Excellent customer care. Knowledgeable and courteous. Thank you. Fantastic service, zero traces of bugs after service! These guys are real and no BS, they are working with me on all issues that matter and staying on top of it every time they come out, I am very happy that I switched to them after suffering (not to mention the financial loss)with two of the biggest companies in the U.S. plus it's a local owned company which helps keeping the money in our community. Pest control solutions prices are lower and provide way better service and better chemicals that actually work. Good service and very effective. We were very pleased with the work Cyrus did! He is very informative and answered all our questions. 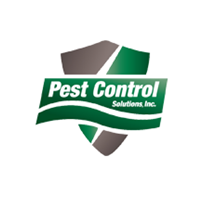 Pest Control Solutions are the people to call! The employee is friendly, helpful and genuine.Plus the service is guaranteed and if you see any insect or anything ( pests) they will come back and do the job again. I was extremely pleased the technician. He was very a very knowledgeable, dedicated, caring and pleasant young man. I look forward to seeing him again for our ongoing services. We haven’t seen any more scorpions either‼️ Thanks, Annette S.
Care for your Business Great service always at time. We are extremely happy! Our first initial phone gave me confidence that our pest problem would be solved. Twin came out to address the problem. He was very professional and gave me confidence in their service. Gerald and Bobby are the technicians that provided the service. They were on time and very professional. I am confident that our pest problem is solved. Good prices and extremely professional! I highly recommend their service. Must choose this pest control service as they are loyal, listen, honest and most importantly very liberal with their spraying....will stick with them and highly recommend..!! I needed a last minute pest inspection, and PCS was able to accommodate my time table perfectly. And the inspection was thorough and professional. Very happy with PCS. The crew put barriers around my solar panels to discourage birds. The details of the project were exceptional and this roof project was completed with a thorough cleanup. Excellent job! Reasonably priced services. Great job! Pigeons are gone! Loved the knowledgeable, friendly, and honest service technician. very helpful great service . the best. Cyrus is an amazing tech and always provide excellent service! I received three proposals for screens around my solar panels on four different roof elevations at my residence in order to keep the Pigeon from leaving their dropping which rolled down onto my Patio. Thanks to the excellent installation and decontamination Twin and his Company did cleaning up this contamination for about 30% lower that the next lowest bidder. Great service very friendly and on time. This company is a must if you need pest control services. They are prompt and very friendly and explain everything to you. I was very pleased with their service. Pest Control Solutions Personnel were very professional and courteous. I would recommend them to anyone that may need Pest Control help. Sal does an excellent job! They were very prompt and informative. I would recommend them to everyone! One of the few things you can count on is Pest Control Solutions showing up, on schedule each month. Bugs are gone, rats absent and even way fewer scorpions. They even placed sticky pads in my garage along with spraying along the inside to kill the bugs before they consider getting inside my home. Excellent service! Cyrus and Pest Control Solutions has been nothing but professional with us. We initially needed them due to a scorpion infestation at our old home and when they arrived, they were concerned about everyone in the home, to include our hedgehog. Needless to say, no more scorpion problems in our home. When we moved, we continued to utilize their professional and amazing services. I recommend them to all my friends and will continue to recommend them. GREAT WORK! Great Customer Service.. the Tech was very knowledgeable & very polite. we appreciate your service. Cyrus is very good. Came back as promised to check on the trap. Still not done with treatment but so far they have been very helpful and very professional, defenetly would recommend to anybody. My home is still in the treatment process but so far both Twin and Bobby have been very helpful and very professional, they answer all my questions and their customer service is outstanding. Pest Control Solutions Inc. know what they are doing. The treatment was very well explained and good expectations were given. I have had an ongoing problem for a while because I attempted to treat the bed bugs myself and had tried another company without receiving promised results. So far I feel that PCS is very competent in ridding these bugs. I am about 2 weeks out of the treatment and we are looking good so far. Haven't seen any bugs around my property aside from crickets. Cyrus our tech seems be to be doing a thorough job. Pest control has helped us get rid of rodents in our yard. They have sprayed the outside and inside the house to control roaches, which has accomplished our goal. Thanks. Friendly, quick and thorough. My pidgeon problem is history. Thanks for the help! Awesome service. Friendly and Professional. Reasonable service fees and no contracts. I’m a lifetime customer. You can be too. Call them today. I am very happy with Pest Control Solutions. They were very understanding and professional while taking care of my pest issue! I would highly recommend them!